FUTSAL LEAGUE - Coming Soon! 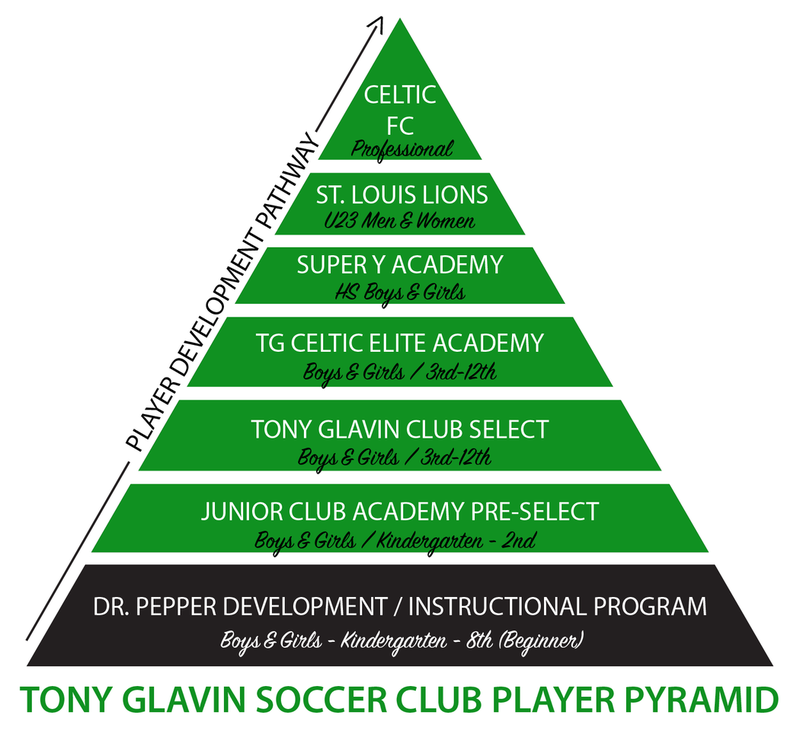 Tony Glavin Soccer Club offers a pathway for our players from beginner all the way through to the professional level for both men and women. Our focus on Player Development is what sets us apart from the others. Our goal is to provide every player the opportunity to reach their potential and take their game as far as they desire. Our players have access to local, regional, national and international competition. We believe the opportunities our club offers are unique, with the added benefit of being in a family environment, where Tony Glavin himself knows the name of every player in his club! EMPHASIS - “TOUCHES, TOUCHES, TOUCHES” Individual skills such as passing, heading, dribbling, shooting; small sided outdoor play, indoor competition, teamwork. GOAL – player creativity, team spirit, FUN! EMPHASIS - ”CAN DO ATTITUDE” Further advancement of individual skills = finesse; understand and execute the teamwork of offense and defense; entry level through intermediate player conditioning. GOAL – smartness of play; overall field vision; desire for the next step. EMPHASIS - ”DOWN TO BUSINESS” Serious training and conditioning; total play execution; smooth game transitions; ball control with advanced technical expertise. GOAL – “We LOVE This Game” enhancement of High School Varsity performance; total fitness; guidance on future soccer opportunities.